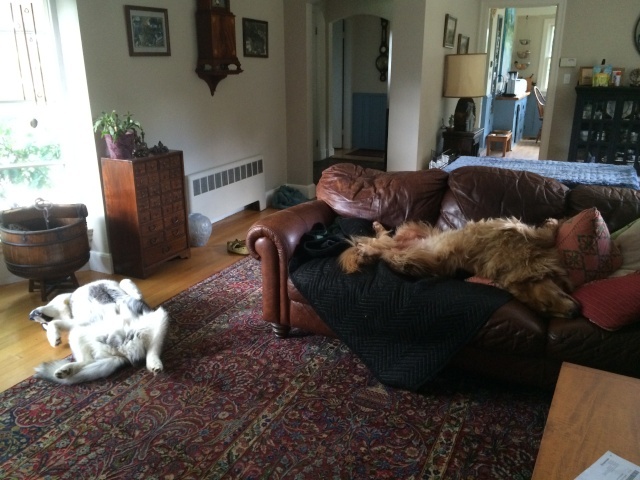 I may have missed it - what is the caramel, furry one on the couch? They look about as stressed out as mine do on a nightly basis. We have a very old, powerful, Electrolux canister vacuum with a hepa filter which I use every other day I also brush them almost everyday. We also had a Long Haired German Shepherd for 12 years with a double coat. OMG I can fill an entire vacuum bag in one go! Subject: Re: Our stressed out pack!